San Ramon, Calif. (July 26, 2018) – Trumark Companies, a diversified real estate development and building firm, celebrates its 30thanniversary this year marking a major milestone in the company’s longstanding history of homebuilding in California. Founded in 1988 by Gregg Nelson and Michael Maples, Trumark has grown substantially over the years in response to the market and now comprises four distinct divisions, including Trumark Communities, a master planned community developer; Trumark Homes, a next generation homebuilder; Trumark Commercial, which builds, leases and sells commercial buildings; and Trumark Urban, a vertically integrated residential developer focused on core urban neighborhoods. Despite its growth, the company’s mission has remained constant over the years: to build inspiring homes and communities in highly desirable geographic areas while ensuring each development is economically viable and socially responsible and enhances the environment and surrounding areas. Nelson and Maples met during their college years at San Jose State University and later moved their families to the East Bay to start a church. With previous real estate experience under their belt, they founded Trumark in 1988 as a secondary pursuit, not knowing the legacy into which it would evolve. After the market crashed in the early 1990s, the duo stepped away from actually building homes for about 15 years and narrowed their focus to the land entitlement side, while adding a significant commercial development operation. While they were eager to get back into homebuilding, Nelson and Maples didn’t see the right opportunity to do so until after the 2008 recession, which led to the birth of the Trumark Homes division. Vast opportunities in the market over the years have allowed Trumark to diversify its product offering and form several distinct divisions under the Trumark umbrella. Most recently, Trumark Communities launched a new TruLiving brand, an innovative new community model designed to revolutionize the age-qualified sector of the real estate market and featuring the first age-qualified amenity to be registered under the WELL Building StandardÒ. Over the course of the past 30 years, Trumark has successfully entitled 30 development sites and over 5,000 residential lots. Trumark Homes has been instrumental in the development of more than 2,200 homesites throughout California and built and sold more than 1,400 homes. The company currently has more than 10 active new home communities spanning the state of California including: Fielding and Perch in Dublin, Glass Bay in Newark, SP78 in San Jose, Centerhouse in Ontario, Founders and Bristol in Chino Hills, Lewis+Mason in Anaheim, The Pacific in San Francisco and TEN50 in Los Angeles. Trumark has received numerous local and national awards, including best attached, detached, multi-product and master planned community in the country and was recently named the 3rdfastest growing private builder nationwide. Trumark also celebrates its longstandingpartnership with charity:water, a non-profit organization dedicated to bringing clean and safe drinking water to people in developing countries. For approximately every 50 homes that Trumark builds, they provide and serve approximately 200 people with fresh, clean water. SAN FRANCISCO, (July 26, 2018) – Trumark Urban has announced the complete sellout of the collection of 76 residences located at The Pacific, located in San Francisco’s prestigious Pacific Heights neighborhood. Trumark Homes is a visionary, next generation homebuilder with a robust portfolio of new home neighborhoods spanning the state of California. Emphasizing distinction and innovation in every home, Trumark Homes focuses on core infill developments in locations that exhibit strong job growth and provide access to major job centers. Trumark Communities is a residential land development platform focused on acquiring, developing and selling improved lots in master planned communities. The Communities division includes the recently launched TruLiving brand focused on the burgeoning age group of 55+. www.trumarkcommunities.com. One of San Francisco’s most expensive condo projects ever is now sold out. Buyers snapped up all 76 homes in Trumark Urban’s The Pacific with prices ranging from $1.45 million up to nearly $16 million. While numerous condo projects have hit the market in recent years in San Francisco, The Pacific was the first in the current real estate cycle to target even higher price points than the typical luxury condo. The development, a former dental school transformed into housing, was the only new large housing project built in Pacific Heights, one of San Francisco’s priciest neighborhoods. The project, at 2121 Webster, was designed by Handel Architects and built by Plant Construction. Sales started in 2016 with asking prices stretching up to $20 million and wrapped up with the sale of Grand Penthouse 4. Trumark declined to disclose the final sale price of the 3,128-square-foot home, which went on the market listed at $13.75 million or about $4,400 per square foot. Homes in The Pacific range from one- to three-bedroom condos, 10 townhomes, seven penthouses and four grand penthouses featuring ceiling heights up to 11 feet, chef’s kitchens and floor-to-ceiling windows. Some of the units such as the last one to sell, came with expansive, private outdoor terraces. The Pacific’s penthouses sold between $4.6 million and $10.3 million or an average of $3,150 per square foot, according to property records. The grand penthouse prices ranged from $9.9 million to $15.875 million or an average of $3,125 per square foot. Those homes were sold as “warm shells” meaning no interior finishes and requiring buyers to handle that separately. 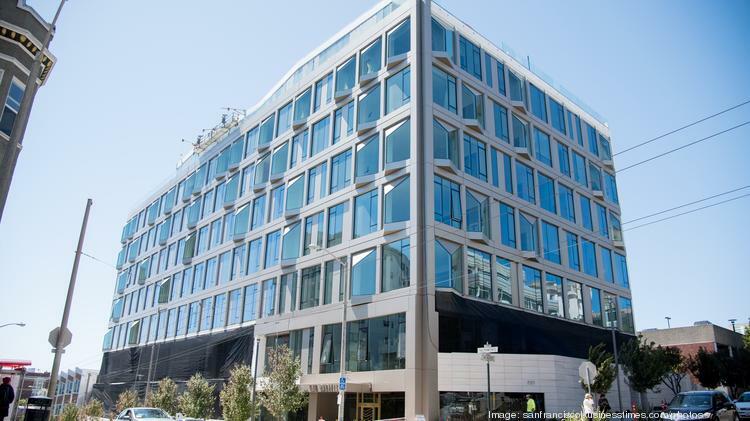 Amenities in the building include a gym, concierge service, garage with valet service and private, two-car spaces with roll-up doors and a rooftop deck with views of the Golden Gate Bridge, Marin and the San Francisco Bay. “The Pacific was the perfect storm,” for an ultra-luxury condo project in San Francisco because its design, quality, details and unique location in Pacific Heights, one of San Francisco’s most expensive neighborhoods, lined with multi-million dollar mansions, said Gregg Lynn, an agent with Sotheby’s International who specializes in high-end condos. Meanwhile, new condo prices have steadily climbed in San Francisco during the past decade. Ten years ago, it was rare for new condos to sell above $1,000 per square foot. Now, most condos are priced at $1,200 and up and a new category of “ultra-luxury” condos is emerging with prices starting above $2,000 per square foot. Some new condos are even going above $5,000 per square foot for penthouses and upper-floor homes. Since then, other high-priced projects have also come on the market including Jay Paul Co.’s 181 Fremont and Related California’s the Avery. Others, such as One Steuart Lane and 706 Mission St. are under construction. Newport Beach, Calif. (July 18, 2018)— Trumark Homes, the award-winning California homebuilder, recently closed the final home of itsTribellacommunity in Santa Ana, California. In bringing Tribella to market with three distinct neighborhoods – Modern, Classic and Market – Trumark realized a significant opportunity to service the growing demand for homes offered at affordable price points in one of Orange County’s fastest growing markets. After launching sales for the 110 homes in September 2016, Trumark experienced a complete sellout in March 2018. Priced from the high $500,000s, the three neighborhoods within Tribella include Modern, gated three-story single-family homes; Classic, gated two-story single-family homes; and Market, three-story live/work townhomes. Each home offers two-car garages and floor plans range from three to four bedrooms. The eight-acre Tribella site is part of Santa Ana’s Harbor City Place plan and offered Trumark Homes an opportunity to develop a unique mixed-use development that includes a blend of street-facing commercial spaces with mixed-use townhomes and single-family detached homes nestled within a gated community. With the majority of the existing homes in the area dating back to the 1950s, Tribella introduced 110 newly constructed homes to a market where young families are attracted to the top-rated Garden Grove public school system. Pricing starts in the mid $900,000s. 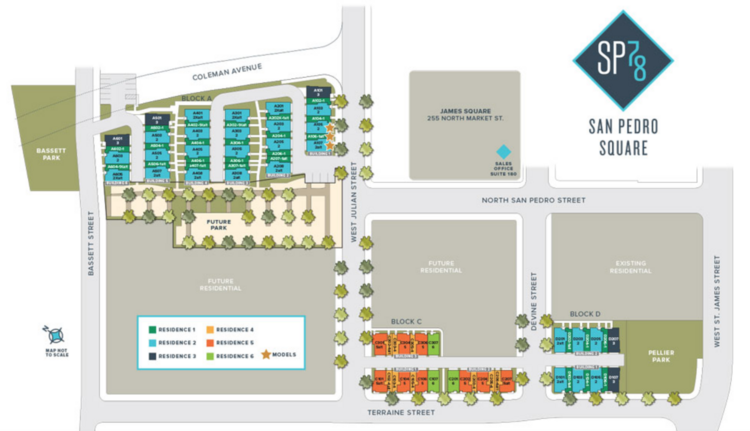 Trumark Homes has opened for sales at SP78 at San Pedro Square, a new residential community that recently broke ground in San Jose. Trumark Homes acquired the development site in late 2017, where 78 new townhomes will be built adjacent to the popular San Pedro Square Marketplace, adding to the urban revitalization of downtown San Jose in Silicon Valley. SP78 will feature three-story, single-family townhomes with two- and three-bedroom floor plans range in size from approximately 1,300 square feet to 2,000 square feet and attached direct-access garages. Homeowners will enjoy close proximity to downtown office, retail, restaurants and entertainment, convenient access to public transportation and freeways, and a short commute to the Mineta San Jose International Airport. Sales launched this summer and model homes are slated to be delivered in fall 2018. 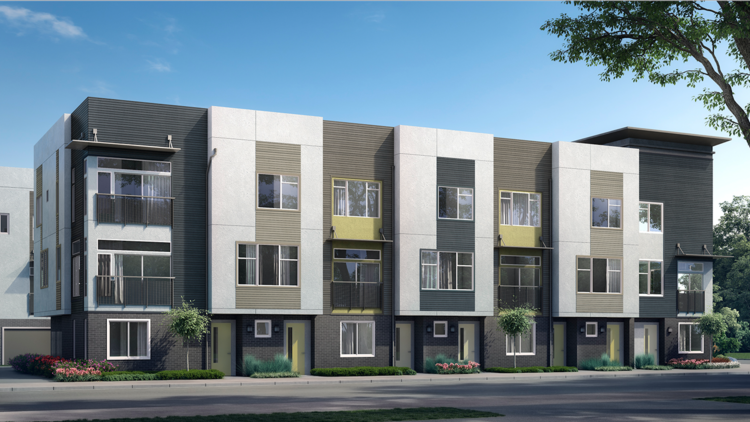 The SP78 at San Pedro Square townhomes will range from one to three bedrooms and 2.5 to 3.5 baths, each with direct access to the sidewalk and a garage. A decade ago, the area on either side of North San Pedro Street in San Jose between the Guadalupe Freeway and Market Street was largely unused land. Today, there are high-rise residential buildings with more on the way and, with SP78 at San Pedro Square beginning construction, townhouses for sale in a neighborhood still being born. The 78 townhouses — one-, two- and three-bedroom units with 2.5 to 3.5 baths in 12 floor plans — begin in the mid-$900,000 range and are being built on three parcels on San Pedro, Julian, Devine and Terraine streets. They range in size from 1,300 to 2,000 square feet. Models are scheduled to open later this year. The townhouses each have direct access from the sidewalk and from their one- and two-car garages equipped with electric vehicle conduit. Bosowski said the development parcels, totaling only 2.5 acres, were too small to support more high-rise development, but that a mix of three-story townhouses and taller towers is common in many cities. “I am certainly not upset by the number of jobs nearby,” he said, referring to search giant Google’s intention to build an up to 8 million-square-foot urban campus in San Jose’s core, plans that were announced after Trumark had acquired the property. San Francisco, Calif. (July 5, 2018) – Trumark Companies announced today that The Pacific, an adaptive reuse residential building in San Francisco’s prestigious Pacific Heights neighborhood, was named “MultiFamily Community of the Year” at the 55th Annual Gold Nugget Awards presented by PCBC, the largest annual homebuilding trade show in the Western United States. Known as the “Academy Awards” within the homebuilding industry, the Gold Nugget Awards are the premier event of the two-day annual PCBC conference. Honoring the very best in the homebuilding industry, the Gold Nugget Awards celebrate those who have raised the bar for innovative architecture, planning and construction concepts. The awards gala, held on Thursday, June 28 at the San Francisco Moscone Center, drew a crowd of more than 10,000 of the most respected industry professionals and innovators in real estate. 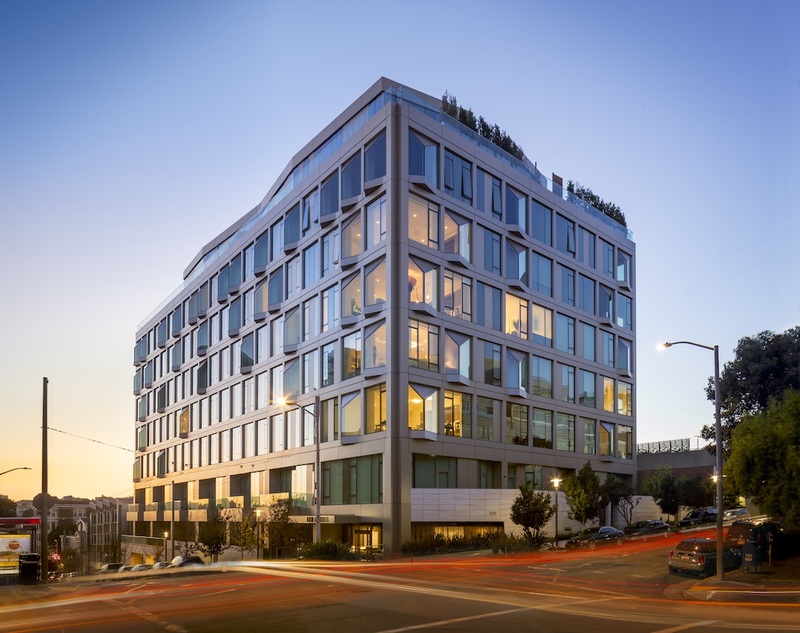 The Pacific is a LEED Gold development featuring 76 residences in San Francisco’s prestigious Pacific Heights neighborhood. An adaptive reuse development and former site of the University of the Pacific Dugoni School of Dentistry, The Pacific was the only significant newly constructed, residential development in central Pacific Heights in decades. With stunning architecture envisioned and executed by internationally acclaimed Glenn Rescalvo at Handel Architects and interior design of all common spaces and residences by Handel Interior Design, the property features an array of one-, two- and three-bedroom flats and three level townhomes in the building, along with a rare collection of seven penthouses. The oldest and largest program of its kind, PCBC has been endorsed as the official show of Leading Builders of America (LBA). The winners of the PCBC Gold Nugget Awards are featured in online and print publications, including Builder and Developer, Builder and Professional Builder. In addition to the Gold Nugget Awards, The Pacific has previously received recognition for San Francisco Business Times’ 2017 Real Estate Deals of the Year.